Ocean Grover Sam Walsh was named captain of the All Australian Under 18 side and the Larke Medallist at the competition. Ocean Grove’s Sam Walsh was named as captain of the Under 18 All Australian side. Walsh was also the Larke Medallist for the best player of the competition. 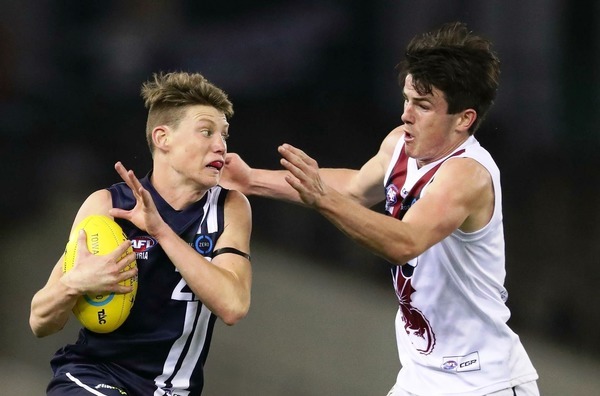 Walsh is a certainty to be drafted into the AFL in November, with many pundits saying he is the best midfielder in the draft and some are saying he could be the first name read out on draft night. 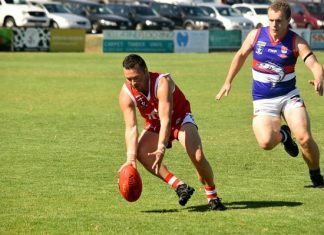 Walsh is the son of former Ocean Grove coach Wayne Walsh. The Geelong Falcons gun said he relished the prospect of going number one. “I’ve got to keep working on my game and be the best player I can be, whether that’s the No. 1 pick or not — I’ve just got to keep working hard and that can hold you in good stead,” Walsh told foxfooty.com.au. “Obviously love my AFL football and I follow it real closely, so it does cross your mind.